This picture by Jak & Jil is definitely today’s highlight! 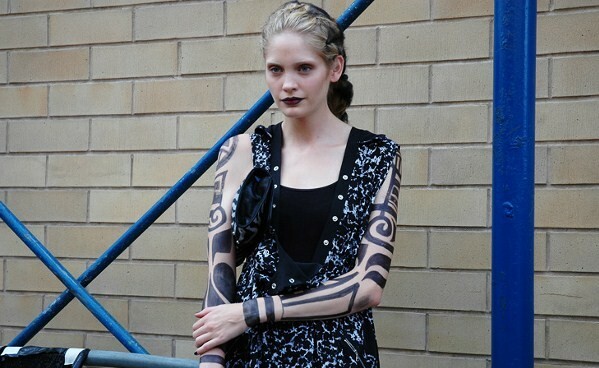 I like how it all blends together: Heidi Mount’s dark make-up, the pattern of her Alexander Wang romper, the pops of blue in the background and the tattoo like arm painting kept from the Rodarte show. Speaking of which, Kate and Laura once again managed to create a truely fantastic collection with an incredible mix of materials, lots of deconstruction and an “out-of-this-world” vibe. Check out the pictures of their collection here. LOVELY, LOVELY, LOVELY BLOG NATI!!! !